For some people, it is a dream to work from home, and for others it is a necessity. For a stay-at-home parent, it can greatly help the household by earning some extra money from home. One of the most lucrative methods of making money from home is through online trading. It may not be for everyone, but persistence in this field pays off. From a humble start of a few hundred pounds a month, a person can make a real income over time with trading. It is not just for the rich. In this article, we will look at what it takes to become an online trader. A person jumping into the world of trading might feel overwhelmed with the masses of information at hand. The world stock markets are in a constant state of fluctuation. The change in stock prices and market developments brings opportunity to buy when a stock is down and trade it when the prices are favourable. Information is power in trading. The more you know about a company and the current trends, the better your decision making will be. Take some time every day to keep informed on the latest trends and to get a better understanding of what makes stocks rise and fall. Many websites such as CMC markets provide up-to-date trading news that can keep you in the know. Each website that allows you to trade through their systems has their own set of fees. Carefully review a few of the sites in order to see what it is going to cost you to use them. Limits and additional fees are important too. Knowing what you can do and how much it will cost you can help you to save money and avoid surprise costs. Those who have made it big in the trading world rarely do it by chance. A well implemented trading strategy is the key behind many professional traders’ success. This strategy should include the sell price, such as when a stock goes 20% under the initial buying price. This can help you to avoid massive losses as well as not be startled by sudden market shifts. Further strategies should include the amount of money you want to put into high-risk stocks and low-risk bonds. A balanced portfolio can help you to build a stable income with healthy growth. Many trading websites provide training accounts. 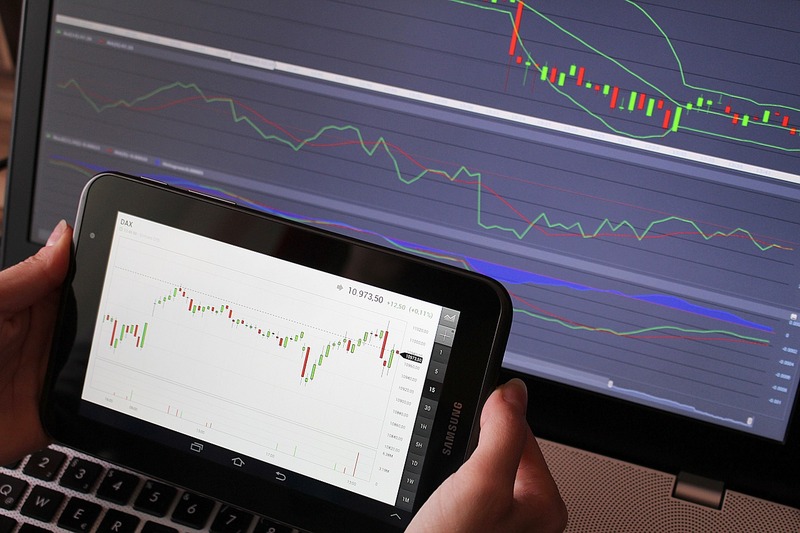 These accounts allow you to trade stocks in real time with fake money. It is an excellent way to build your confidence and to learn the ropes. Trading can be a stressful experience at first, but practice makes perfect. It is important not to go overboard with the trial account. Run it as you would a real account using your trading strategy. While buying and selling with fake money is not as stressful as using your own money, the training accounts can still be very beneficial. Online trading is an active endeavour. This means that you should always keep up-to-date with the latest trends, especially those that can affect the performance of your stocks or bonds. If there is a massive shift in the market that affects your stocks, seeing it before it causes big losses can save you thousands. Check the stock market throughout the day by visiting news websites or by tuning into a reputable TV show. It is rare to find a successful trader investing into only one stock. A critical part of making a reliable source of income from stocks is to diversify. By spreading your assets to many different sectors, the likelihood of you losing everything is almost eliminated. A portfolio should be invested into reliable sectors such as energy and oil. This will ensure a steady growth and few surprises. Another portion of your portfolio should be invested into higher-risk stocks, such as company stocks in growing, new sectors. Making money from home through online trading is a reality for some. You do not have to be rich to become a part of it all. Visit a trading website today to see how you can get started.